Going out in a big city like Austin can be overwhelming, but, fortunately, you can enjoy an alternative evening out at a less crowded, quieter locale while enjoy cocktails at one of Austin's many speakeasies. Discover one of these hidden gems for a great night out with your date or friends! To enter this Austin speakeasy, you have to know the password: Harry Craddock. All you have to do is find the sign that reads "Midnight Cowboy," punch the button that says "Harry Craddock," and you're in for a night of secret fun! The space is small but has aesthetic decor and brick walls, which are original as this speakeasy used to be brothel back in the day (the right light also gives this history tidbit away). If the red light is glowing, you're free to walk right in, but if the light's not on then Midnight Cowboy isn't currently accepting walk-in's, so it's best to make reservations ahead of time. The Magnolia Room is another speakeasy in Austin that requires a password. Here, you need to call and make a reservation, which is when you will receive the password for entry. This speakeasy is located in the basement of the restaurant Buenos Aires Café, so head around back, ring the doorbell on the red door, and present your password. Once you're in, you'll feel the Argentinian culture as their vintage decor and live music make you feel cozy and welcomed. Living up to its name, Garage is located in a parking garage that reads "cocktails" above the entrance. The bar is under the ramp, so follow the bright blue signs. This location is known for their unique, hand-crafted cocktails, but they also have some tasty bites to munch on as you socialize and order your drinks. Garage actually serves a cocktail that was named "The Official Drink Of Austin," so what better drink to try? The cocktail is a refreshing mix of vodka, rosemary, grapefruit, and lime. Firehouse Hostel is a cool but lesser-known speakeasy in Austin. If you know about it, then you must be local or read this article! Either way, you will meet great regulars here and making new friends. Much of the cool factor comes from the secret bookcase entryway in the in the lobby of the business hostel; you push the bookcase in and find your way into a small bar where you can enjoy cocktails, beer, and wine. Ready for a speakeasy in Austin that doesn't require a secret password or code but is still is hidden and off the beaten path? Small Victory has truly impressive cocktails that range up to $60, so go ahead and splurge a little for a fun and unforgettable night out. This bar is beautifully decorated as well with blue velvet chairs and booths, and dim lighting in a narrow yet cozy space. Lastly, Bar Illegal is hidden right behind another bar, Clive Bar, which is quite busy and crowded. Bar Illegal is just the opposite is as it's a small, candlelight stone cantina, but don't let this speakeasy's unassuming appearance fool you as they're known for their strong drinks and friendly bartenders! This location is perfect for a small group or even a date as the candles do make for a romantic evening. 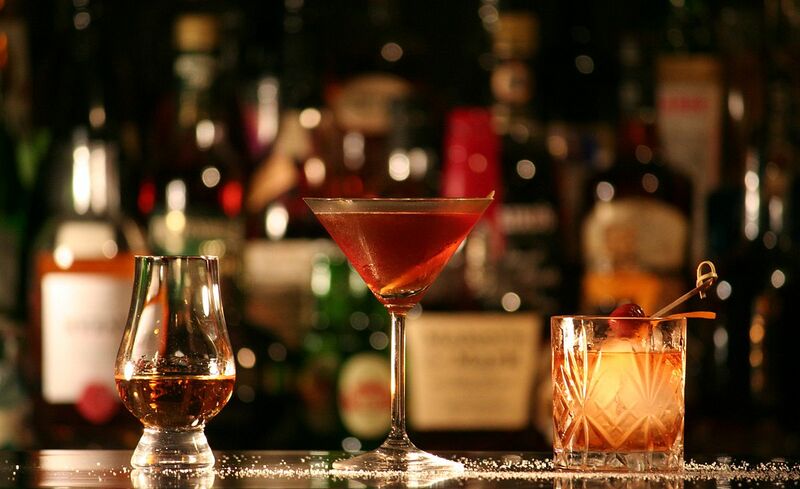 With these speakeasies in Austin, you may never want to hit the mainstream bars again. Maybe. Sometimes crowds can be fun, but there are other times when a quieter, less populated place is preferred. Find more great bars in Austin like these by registering on 512area, your free guide to everything in Austin.